The Cook’s Choice™ Breader Bowl & Onion Blossom Maker Combo Set comes complete with the Breader Bowl and the Onion Blossom Maker so you can enjoy great Onion Blossoms at home anytime. Though you may purchase our Breader Bowl and Onion Blossom Maker individually, to save money, make a better choice get the whole Set. 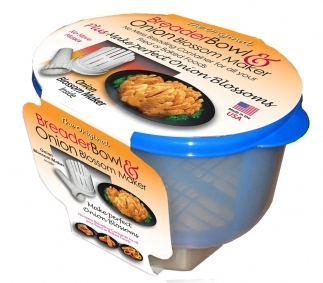 This combo set does not include the Onion Blossom Batter Mix, and All Purpose Seasonings like the Onion Blossom Maker Set Plus (sold online form this site only). The Set comes with both the Breader Bowl and Onion Blossom Maker in a single package. Not only is it a wise choice, but the Set makes for a Perfect Gift as well. 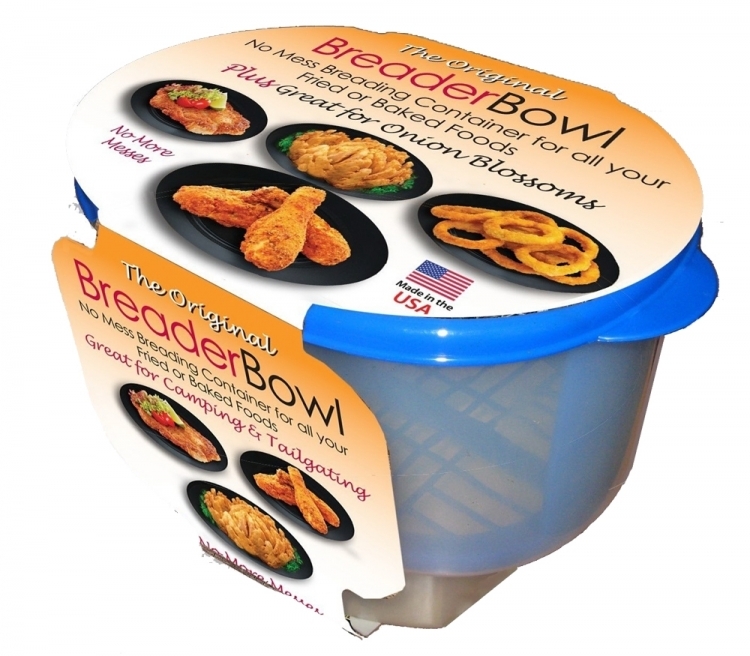 Of ‘course if you just need the Breader Bowl or the Onion Blossom Maker, add the one you want to your cart and you’ll be enjoying it in just a few days. However, if you need both or you know of someone that would enjoy this great Breader Bowl and Onion Blossom Maker Set add it to your cart now. Are you still breading your fish, chicken, pork, wild game, and vegetables the old-fashioned way? Now there is a better way with Cook´s Choice™ Better Breader™ Bowl. 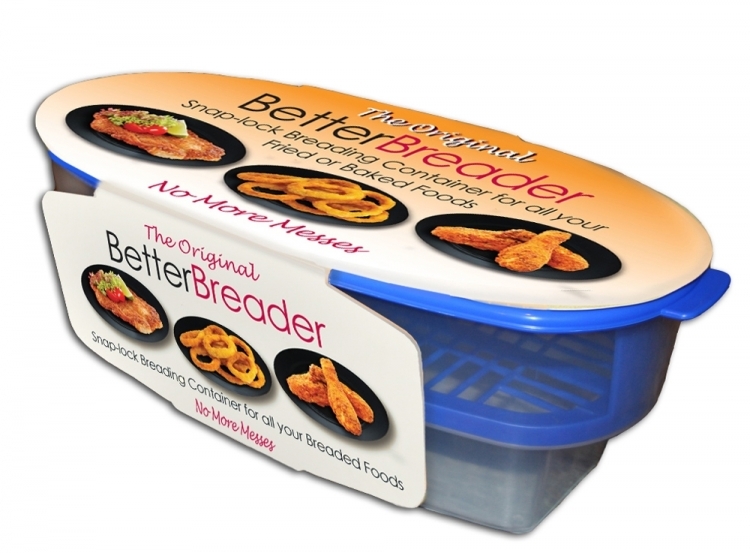 The Better Breader™ Bowl makes breading simple with no fuss, no mess, and no waste. 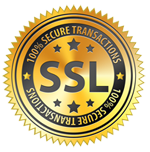 Made of flexible, durable polypropylene, it is dishwasher safe, and stores away easily. What a great way to use your favorite breading or batter recipes on your favorite meats and vegetables.